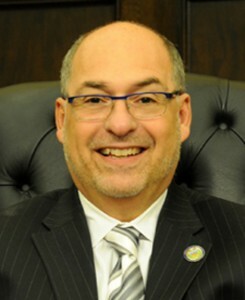 Nicholas Futules (D) was elected to the Allegheny County Council in November 2007 to represent District 7, which encompasses Blawnox, Brackenridge, Cheswick, Churchill, East Deer, Fawn, Frazer, Harmar, Harrison, Oakmont, Penn Hills, Springdale Borough, Springdale Township, Tarentum, Verona and Wilkins. Prior to joining Allegheny County Council, Nick, a former resident of Verona, served on the Verona Council for eight years. During his time on the Verona Council, Nick was the Chair of the Budget and Finance Committee and a member of four additional committees. Nick is a former Verona Democratic Committee Member, a former member of the Verona Zoning Board and a past member of the Greek Orthodox Church of Oakmont’s Board of Directors. Nick attended the Community College of Allegheny County, Boyce Campus, where he majored in Business Management and Culinary Arts. Nick acts as the Corporate Business Manager, Secretary, and Treasurer of the Futules? Harmar House, a banquet facility, motel and catering business, that he co-owns with his brother, Tony. Nick is also a co-owner of A.K. Property Corporation and Futules Properties. Additionally, Nick spent more than 25 years as the co-owner of the former Futules? Restaurant in Verona, a business started by his grandparents in 1906. Nick strongly believes in giving back to the community. Through his business, Nick provides support to a variety of non-profit and youth organizations, notably the Riverview Athletic Association, Toys for Tots, Mining Memories, and the Relay for Life, which Nick supports as a corporate sponsor. Nick also sponsors the Bike Derby in Verona, a youth program that provides free helmets for children and teaches about bicycle safety. Nick is the Chair of the Allegheny County Council Parks Committee. Over the years, Nick has worked with the Allegheny County Executive?s Office and Council to bring new ideas and programs to the parks system to improve its overall operations. Nick, a lifelong resident of the Allegheny County Council?s 7th District, is married to Michele, and has three children, Nicholas, Zoe, and Billy, and a granddaughter, Lily.